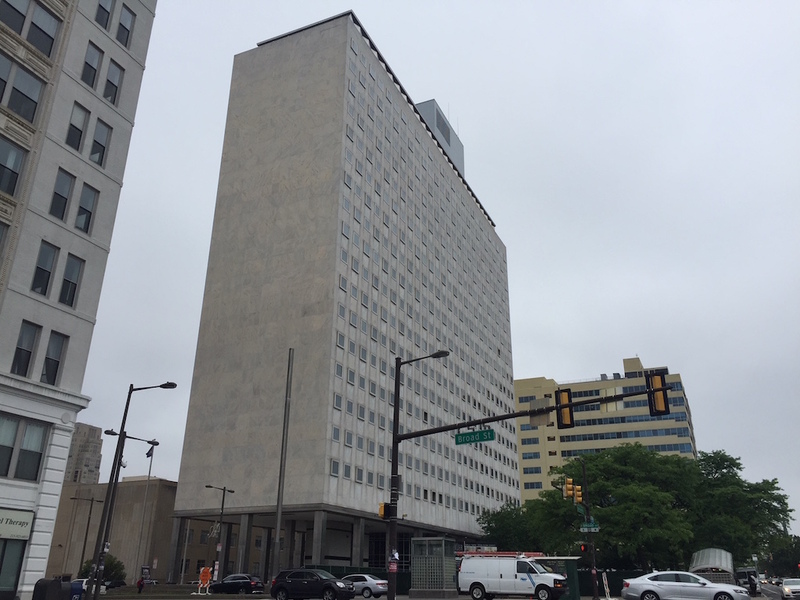 The blandly named Pennsylvania State Office Building appeared on the southwest corner of Broad & Spring Garden in the late 1950s, and still stands as a classic example of Modernist architecture. Back in 2013, Tower Properties undertook a $70M project to renovate the building into 200+ apartments, naming the finished product Tower Place. As the time, we told you that this renovation effort was only the first phase of construction for this property, and that it would be followed by a new high rise building on 15th Street and a shopping plaza on Spring Garden. Several years later though, neither has happened. Apparently, the developers were required by law to delay additional construction for five years, under the terms of the federal tax credits used for some of the renovation financing. Don’t look now though, as something new is finally brewing for this corner. Unfortunately, it’s the retail building, not the apartment building. A few days ago, Philly.com reported on the plan, noting that it’s already been mostly leased up. The roughly 25K sqft building will include a CVS and a Citizens Bank for sure, with leases still being worked out with Starbucks and a Sprint store. The leasing pamphlet from MSC Retail shows up to 8K sqft still available, with 3K possibly being taken by a Petvalu store. The pamphlet also includes some renderings of the building, so steel yourself for a peek into the future. While these stores will certainly make life a little more convenient for people that live nearby, we don’t believe that a one-story commercial building at this location is any kind of cause for celebration. An apartment building on 15th Street, on the other hand, would have been a great addition to the intersection, adding density on the edge of Center City, right near a subway stop. 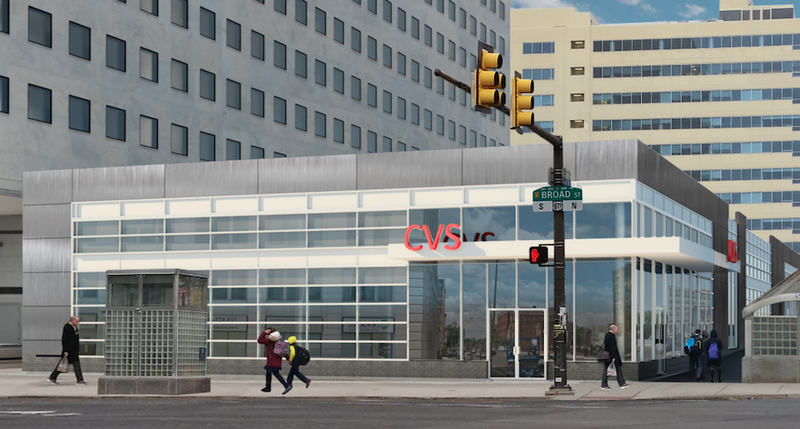 Let’s just hope the CVS building is the second phase for the site, with the apartment building bringing up the rear in a third phase sometime soon. As we’ve told you previously, there are some other projects in the pipeline for this intersection. The Mural Lofts project converted an old school into an apartment building, and a commercial building reminiscent of the CVS building is planned next door, on the northeast corner. 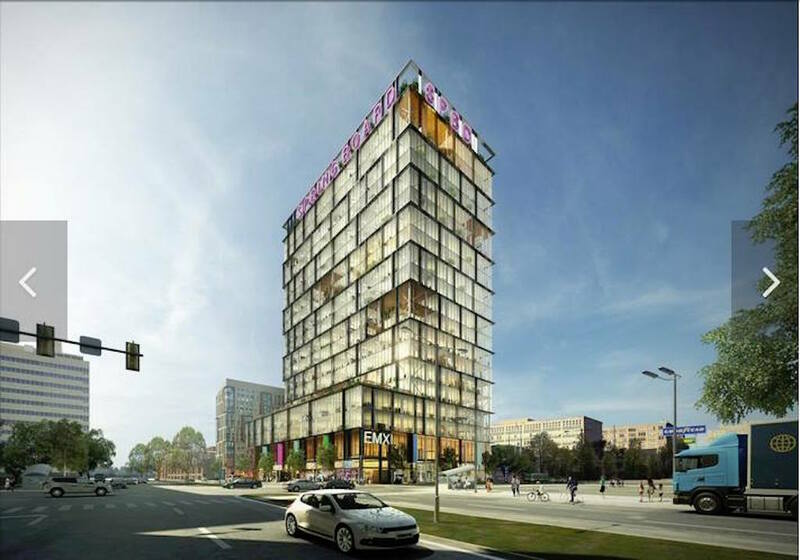 On the northwest corner, we mentioned far more ambitious plans from Parkway for an 18-story office building with 80K sqft of retail space, along with a mixed-use building with 144 apartments and a token 5K sqft retail space. Assuming all of these projects come to fruition, this intersection will add over 150K sqft of retail space, 500K sqft of office space, and roughly 650 apartment units. Even in the current real estate climate, those numbers are staggering for Broad & Spring Garden. It’s not only the tenants enjoying the new built stores but community college students walking over to CCP.